I cannot tell you how important your program is to my life. Over the years, I have enjoyed nothing but the best outcomes because of my ability to have automatic trades. Thanks again for all you do! I, too, have been using LiteSabre since the beta version was released. As many others have offered the program continues to improve what was initially already an outstanding tool. Rob's service is also outstanding as is his fairness. I had a bug unique to my fly-through situation - he made me whole without my asking. THAT is how one builds loyalty. I pull it up between legs as soon as we arrive at the gate and the hit the dispatchers number and order more fuel if needed, SO EASY A CAVEMAN COULD DO IT! The current MEL's are also shown which is a real timesaver in the terminal between planes. I can pull the MEL item up on my IPAD and check it out before I ever leave the previous jet(if changing). Trade, drop, and search the open time right from your iPad. 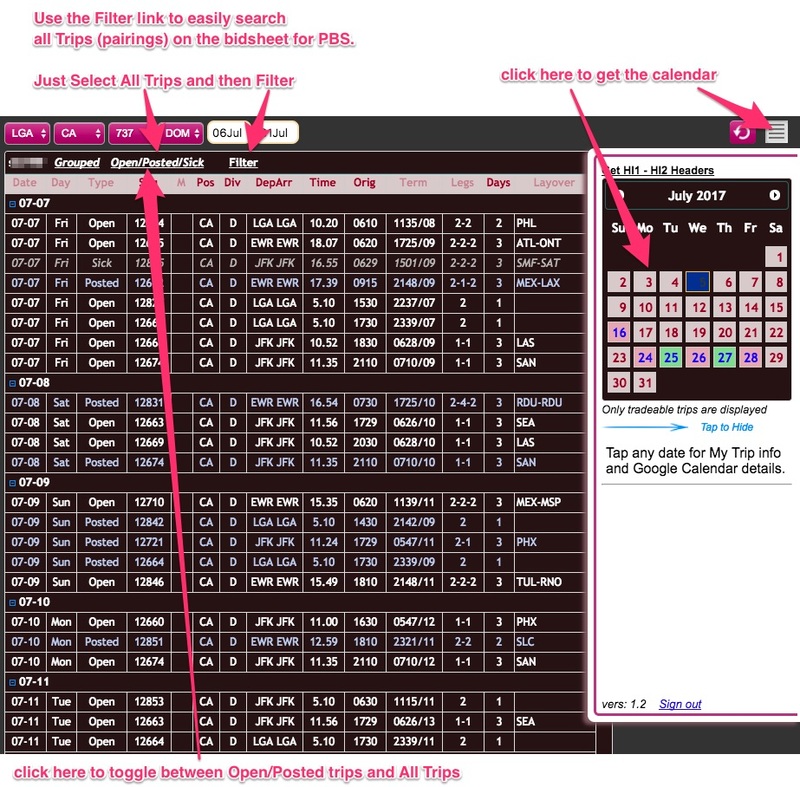 LiteSabre's 'Trips' brings open time searching to the iPad, iPhone, or any browser, in this compact but intuitive web app. Click in the upper right corner of the app and you can search your trips, and see your Google Calendar events as well. Never accidentally pick up a trip on your wedding anniversary again! Trips is configured to operate as an iPad web app. Just open this link in your iPad and bookmark it to the home screen. Trips is available at no additional cost, and can be accessed from here. ** The dropping pilot must be a LiteSabre member in order for "automatic pickup before TTOT opens" to work.